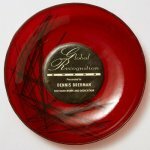 Glass wall art is quickly emerging as one of the most popular styles of art glass and is possibly the most eye-catching form of recognition. 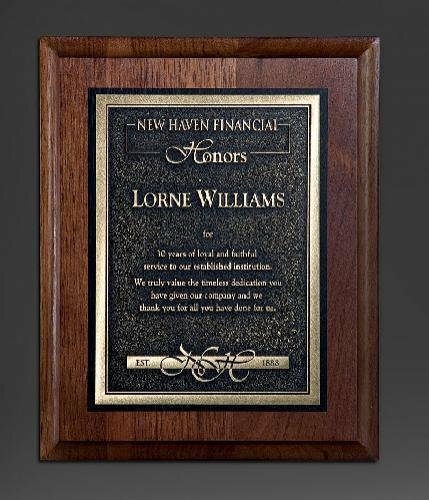 Mounted on the wall, this unique art reflects color throughout a room making a statement of sophistication and elegance. These wall bowls measure 14" in diameter and 2-1/2" deep. 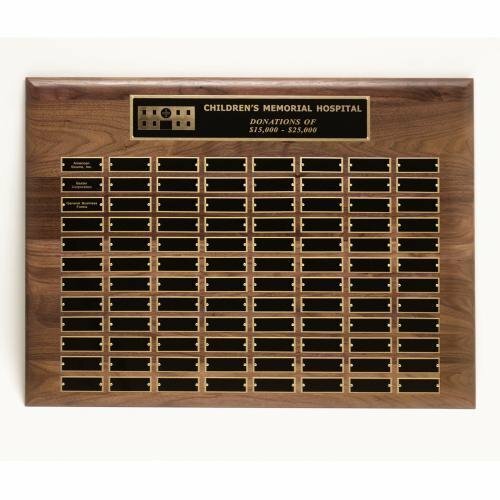 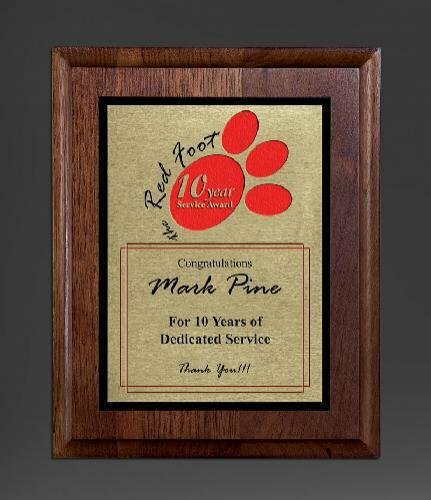 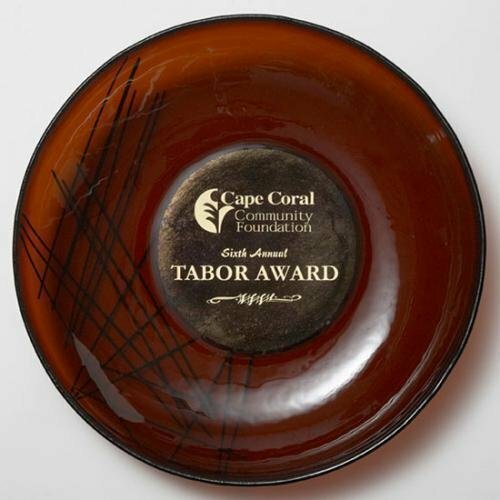 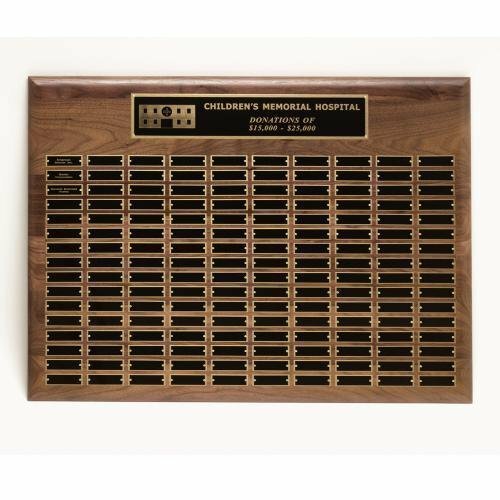 A timeless look is created in this plaque with jade glass and rich walnut wood. 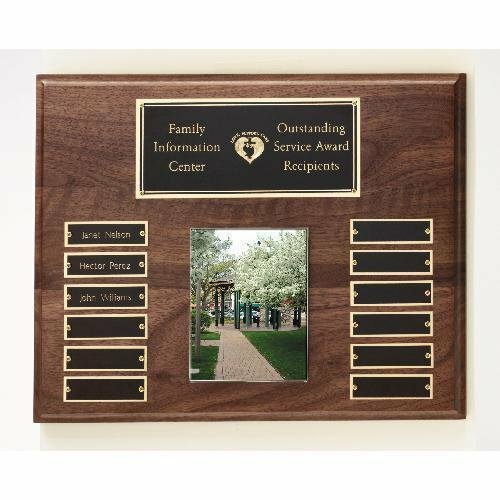 This plaque includes a keyhole back. 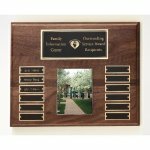 Simulated walnut plaque with rosette corner and black brass plates. 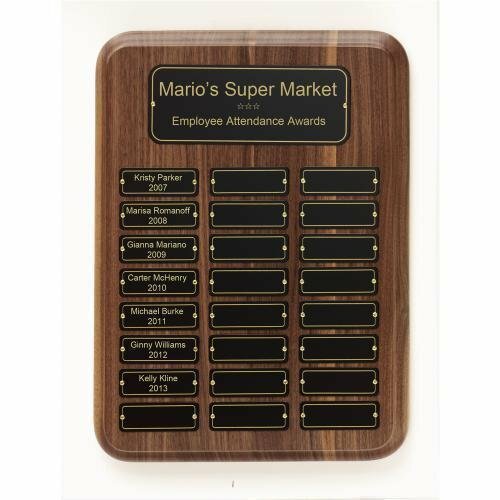 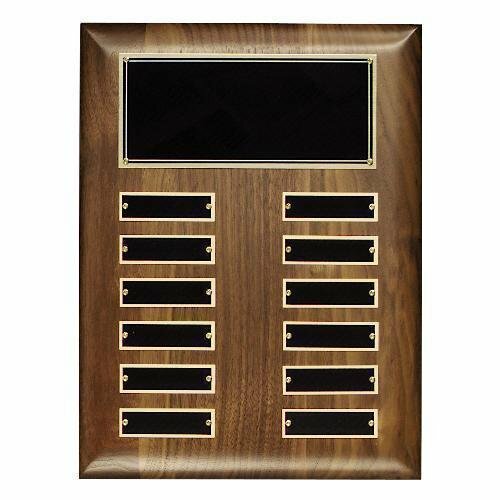 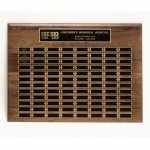 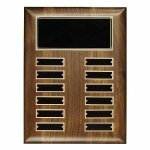 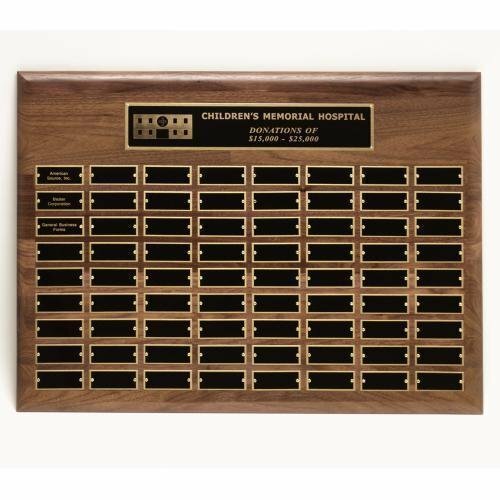 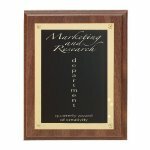 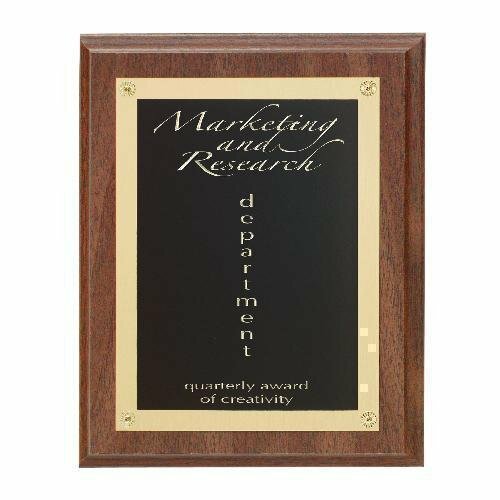 This traditional plaque is made of fine walnut wood with a silver tone zinc plate accented by a decorative black screened border.